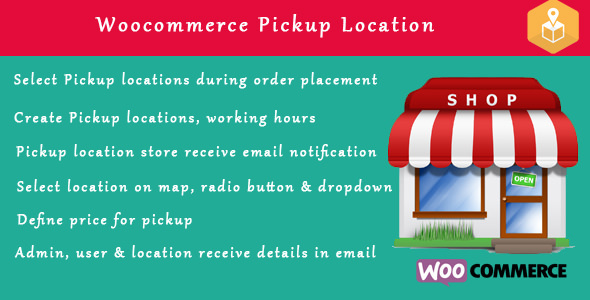 allow store owners to define various pickup points and allow their customers to come and pick up their product purchased by visiting the pickup locations. Please note due to recent changes in google map policy, we have give a new setting option to enter your own google map api key. Also, Please note the recent woocommerce version have conflict with our plugin due to select2 (autosuggest dropdown).